What is it? Well, sweet potatoes. 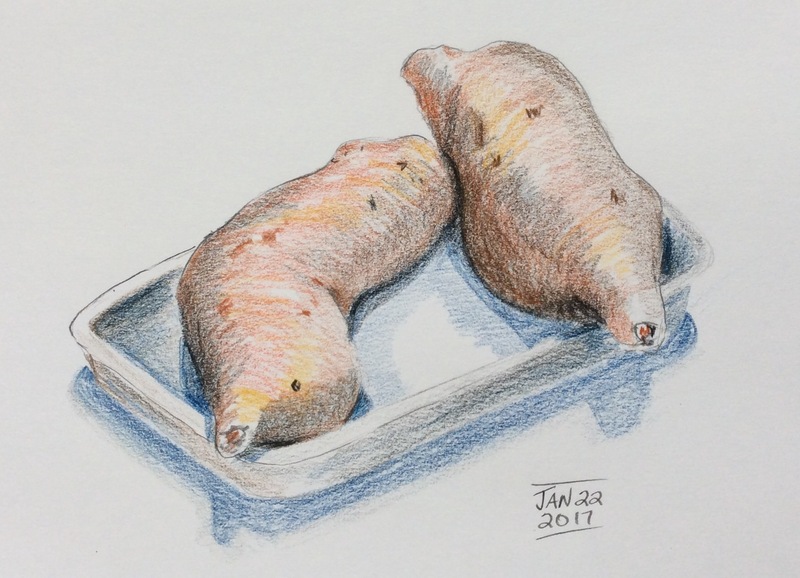 It is with good reason these tubers don’t appear in still life artworks. Their odd shapes aren’t exactly aesthetically pleasing.